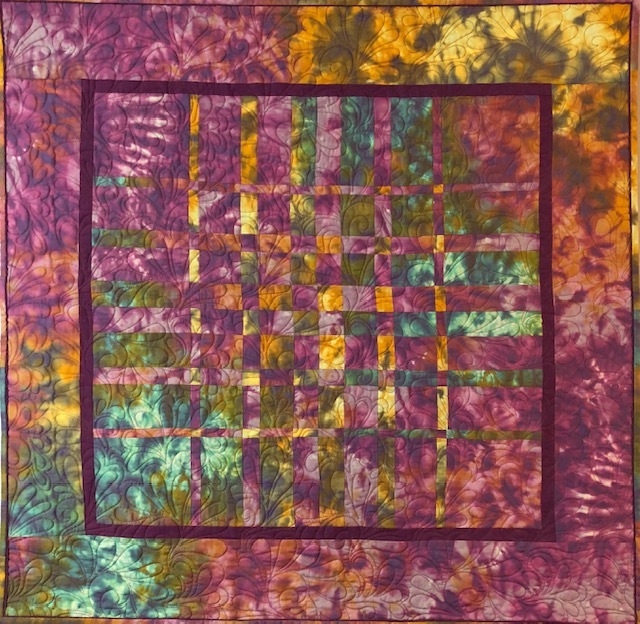 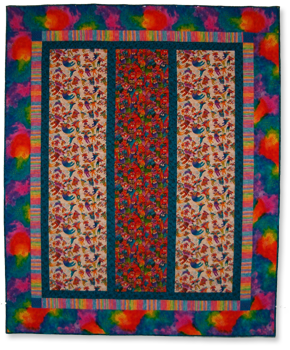 This wall hanging was made from a commercial pattern with Pat adding her own unique touches and fabric choices. 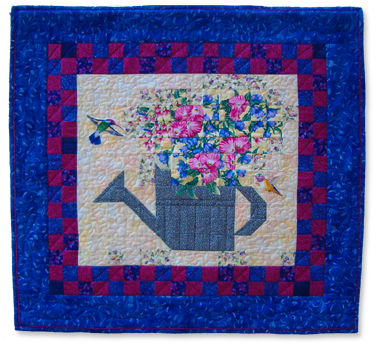 Done in 1 ½” squares on a gridded backing material, Fabric squares were carefully chosen and placed to portray a watering can filled with a fragrant floral bouquet. 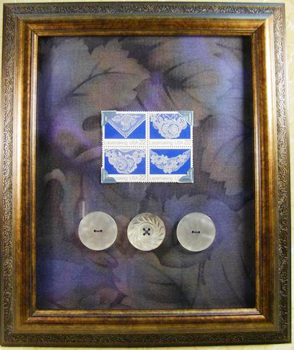 A curious hummingbird was added to make this piece special and lively. 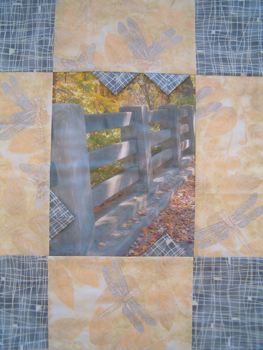 The checkerboard border makes it a little bit country. 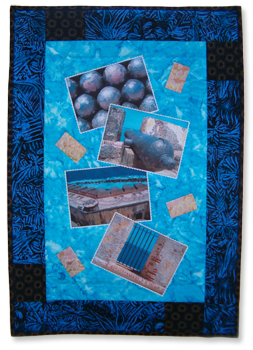 The stipple quilting in the background adds a delicate touch along with the twining ribbons quilted in the outside border. 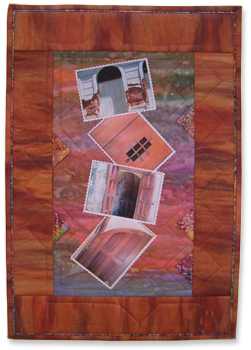 Narrow piping in the binding add just the right amount of rose color.